Get the Business subscription for just $100/month (50% off!) for a limited time only and start keeping 100% of your video ad revenue. From our lightning-fast player to data-driven recommendations, we provide solutions to support your online video strategy and achieve your audience growth and revenue goals. 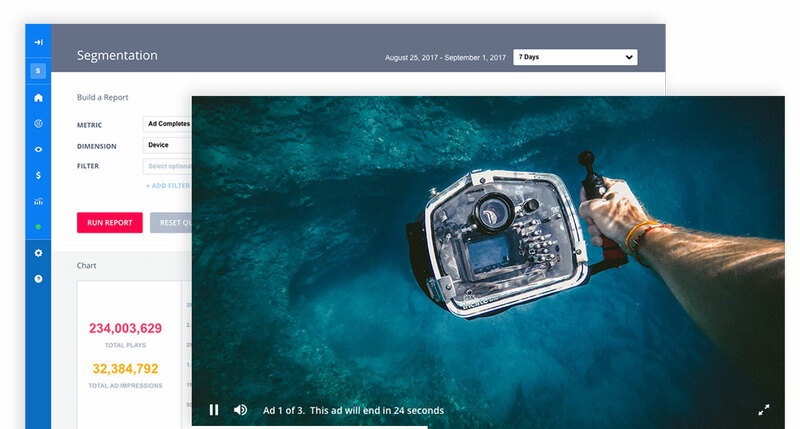 There’s a reason JW Player is the most popular video player on the web — it’s the fastest HTML5 player so your content and ads render reliably and beautifully on every screen. High performance encoding and delivery is just the start — with JW Platform you have an end-to-end management solution with tools to grow your business. For ad-supported video, every impression counts. With the right technology and experts to guide you with set-up, you’ll get the best possible ad fill and CPMs. Engage viewers and keep them watching. By turning on Recommendations, JW customers enjoy an average 45% more plays and a 20% advertising revenue lift. During the evaluation with JW Player, we saw an immediate and significant increase in both fill rate and CPMs.